Four miles from beautiful beaches, famous shopping, finest dining and entertainment in the world. 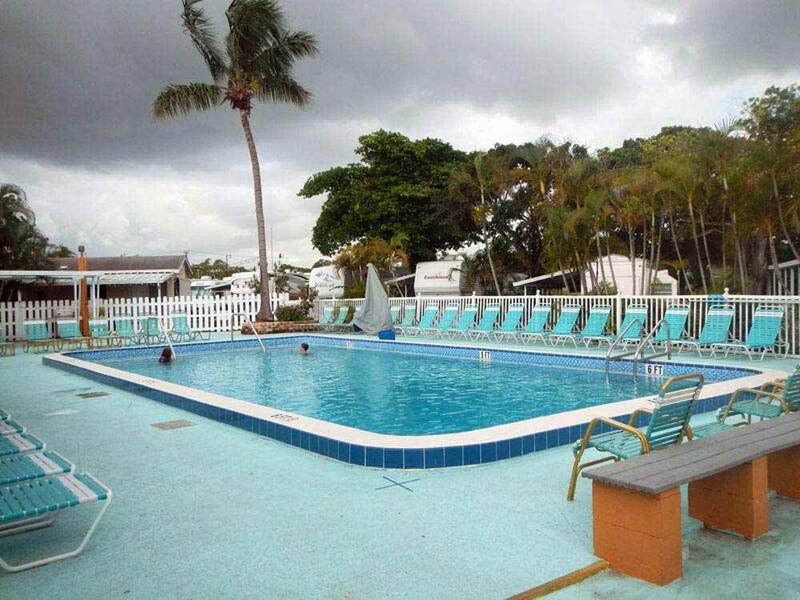 Newly renovated, well-maintained RV Park with heated pool, recreation rooms, exercise equipment and billiard tables. This PV primarily caters to long term snow birds, many from French Canada. They have a few short term stay spots which were small and not very appealing. However, the staff were very effective and cautious. They returned material I left behind by accident. The pool is nice. The running is nice as there is a park with a 3/4 mile run around that is about 3/4 of a mile away. Had good dog walk area and allowed my 242 pound English Mastiff. 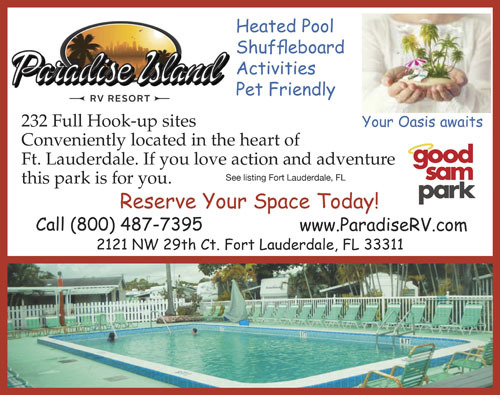 The park is easy to access and quite convenient to Fort Lauderdale. For my purposes of working one day using my phone WiFi, being a tourist, and visiting family the park was just fine. Key is I was not using my cramped spot to lounge outside but was using the park as a base to sleep or in the case of work being inside my 39 foot 5th wheel. Recommend as a base not as a spot to be outside your RV. I apologize for the delay in responding. As you and others have noted, street noise is an issue as we are in the city. For some, the convenient location overshadows the noise issues but not for all. I have added screening to the perimeter fence which helps a bit as a noise barrier. I am also in the process of working with the City to better enforce the noise and speed ordinances in an attempt to improve our guest experiences! Thank you for your feedback! 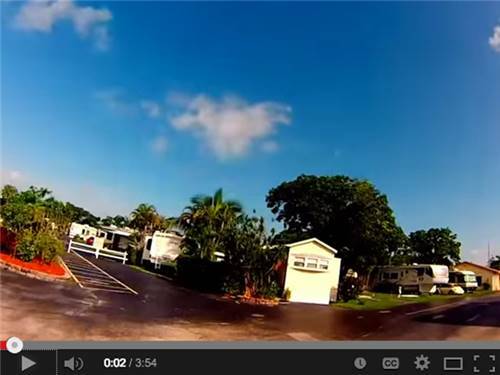 We stayed at this park to be close to the Fort Lauderdale boat show. The location was perfect. Other than location and friendly staff I was not very satisfied with this park. This park is an older park with mostly permanent campers that could use some updating. The sites are very narrow and difficult to get into - definitely not big rig friendly. The roads are paved, but are narrow and depending on the cars parked on either side make it difficult to get around with a larger coach. We have a 40' coach and were able to get into our site with the friendly help from the office staff. To be honest we will probably not stay here again. We did not use the pool or facilities during our stay so we can't comment on those. Be sure to swing wide when you enter the park. The entrance road is very narrow and has a large "island" in the center. Thank you for taking the time to write your review. We acknowledge the "tight" fit in some spaces especially during season. We're fortunate to have staff help with parking. We are an older park but are continually updating. If you return for the boat show or for other reasons, I encourage you to stop by and see us again. Thanks! We had a back-in site for our fifth wheel, far from the office. The sites are extremely close to each other; we couldn't even open our awning completely. The lanes are narrow and hemmed in by parked cars along one or both sides. The very early morning clanking garbage truck and revving motorcycles didn't help our mood. The facilities are nice, but dated. Most of the washing machines were out of order. The pool and deck area was nice. The only "island" aspect of this park is that it is plunked in the middle of a sketchy part of Fort Lauderdale. Staff is nice. Stay 3 nights with Good Sam discount and get 1 night free!